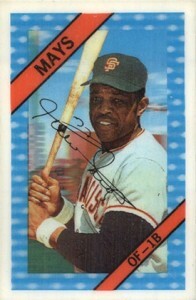 1972 Kellogg's Baseball cards marked the third consecutive year the cereal maker produced a 3-D set. 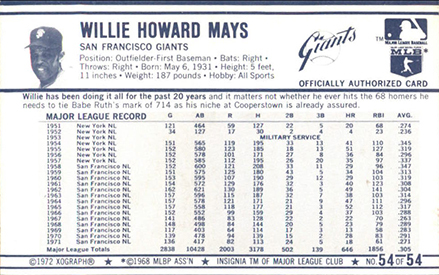 Although the checklist is smaller than the 1970 and 1971 sets, it still focuses on many of the game's top stars at the time. Plus there are enough errors and variations to make up the gap created with the shrunken set size. 1972 Kellogg's Baseball has a similar design to earlier years. Besides looking on the back, fronts can be distinguished by the name plates. 1970 uses a baseball. 1971 has a star. 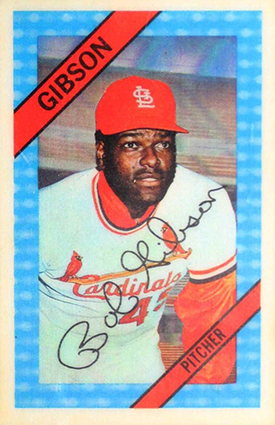 1972 cards have one diagonal stripe in the top corner with their last name and another at the bottom for their position. Backs pack a lot of info including a smaller portrait, vitals and career stats. The cards aren't only smaller than traditional cards, but they're slightly smaller than their earlier counterparts. 1972 Kellogg's Baseball cards measure 2 1/8 x 3 1/4". The checklist has 54 cards. Pete Rose, Roberto Clemente, Willie Mays, Tom Seaver and Reggie Jackson are among the most valuable cards. That being said, the set remains largely affordable. A total 21 players have variations. The vast majority are only small statistical mistakes so they're not obvious. The error versions of these cards carry a small premium, but nothing huge. Like all of the Kellogg's 3-D sets, cracking is the biggest issue as far as condition goes. The materials used to make the lenticular finish are great for corners and general condition issues. However, it is common to find that the lenticular images have cracked so look carefully when buying singles and lots. This is one of two sets of baseball cards put out by Kellogg's this year. There's also 1972 Kellogg's All-Time Greats Baseball, which focuses on many of the game's early legends. Nice write up on The Kellogg’s Set. Have you done the other years?